This book examines the role of the multinational firms in processes of European integration. It is primarily concerned with the implications of market integration and industrial restructuring for peripheral European regions. 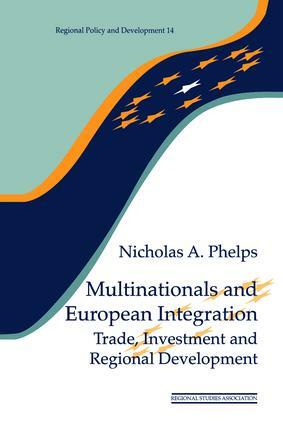 Nicholas Phelps argues that, because of the complex relationship between competition and economies of scale, the persistence of market segmentation, and because of the embeddedness of multinational investment in established production locations, there is considerable inertia in the existing trade and investment patterns of multinationals in the EU. This argument is explored empirically in relation to multinationals operating in Wales. This study suggests that processes of restructuring accompanying market integration are slow to take effect and based on a diversity of motives.